The first non-stop trans-Atlantic flight took place in 1919, when two English flyers, John Alcock and Arthur Whitten Brown, flew a modified Vickers Vimy bomber from Newfoundland, Canada to County Galway in Ireland. While this won them knighthoods and a handsome cash prize, their flight did not connect two population centres, both Newfoundland and Western Ireland being largely farmland. What is regarded as the first ‘true’ trans-Atlantic crossing between major cities, occurred many years later. The European powers, as we have seen, used the newly developed means of aerial transport to principally connect their colonies to the seat of power. Most of the flying was strictly during daytime, with the aircraft’s Captain hosting his passengers to a formal dinner each evening in a hotel! Though not without risk (one co-pilot was eaten by a Nile crocodile en route to Cape Town), the travel experience by aircraft was largely safe and hugely popular, being reported extensively in the press of the period. Flying was far quicker than by steamship, with a journey from the UK to Cape Town taking six flying days, and to Sydney ten flying days with nine overnight stops. By contrast, today it takes less than ten hours nonstop to Cape Town from London, and around 21 hours flying time with one stop to Sydney. Nowadays, of course, the aircraft fly through the night. The majority of the passengers on these early flights were colonial administrators, businessmen and military personnel. Travel was only for the wealthy or those on government business. The airlines were treated as an extension of the civil service and funded as such. Meanwhile, across the Atlantic, the aviation scene in the USA was taking a very different turn. ‘Barnstormers’, intrepid airmen who would fly their craft into empty fields and offer “joy rides” for a nominal fee, had made flying a popular pastime already. 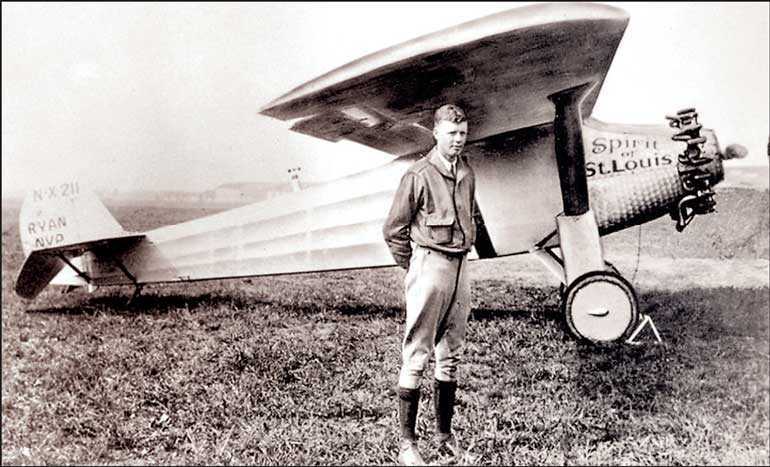 Aviation mania would engulf America, when a tall, laconic pilot from Minnesota, by the name of Charles Lindbergh, won the challenge to fly solo and nonstop from New York to Paris in 1927, a feat he accomplished in a single-engine Ryan NYP monoplane named the ‘Spirit of St. Louis’. Lindbergh returned to New York after his successful trans-Atlantic flight to a rapturous welcome and ticker-tape parade. Cashing in on the popularity of flying, another entrepreneur named Juan Trippe seized the opportunity to get the US Government to support the private-enterprise in aviation. With no far-flung colonies to administer, and blessed with a continent-wide country with an excellent railroad system, passenger flights were not a pressing necessity for the US Government. However, the administrators understood the need to foster the industry and decided to do so by initiating an airmail system. This was initially flown by US Army pilots in military aircraft, but after much lobbying by Trippe, the US Government decided to privatise the service and called for bids from interested parties soon after. Over 5,000 bids inundated the Post Office, which chose 12 companies to start the service. Among them was William Boeing, a timber magnate from Seattle, who built his own aircraft and won the mail contract from San Francisco to Chicago for his company named United Airlines. The WW1 flying ace Eddie Rickenbacker’s Eastern Airlines (originally called Florida Airways) won the Miami to Atlanta run, while Trippe’s Colonial Air Transport was awarded the lucrative New York to Boston route. However, Trippe was ousted by the company soon after and its name was changed to American Airlines. Undeterred by this setback, Juan Trippe went into partnership with Lindbergh, determined to have an airline. Barred from domestic airmail contracts, they won the right to fly between Miami, Florida and Havana, Cuba, the first international route of Pan-American Airways. Pan-Am went on to become one of the world’s iconic brands, pioneering routes to South America, Europe and China. Meanwhile in Washington DC, a newly appointed Postmaster General named Walter Brown set out to change the industry. In a series of steps in the 1930s, he decreed that the distance flown and volume of mail that could be carried, not the individual number of letters, would determine airline’s revenue. He also encouraged the carriage of passengers on board airmail flights, ensuring that they were now profitable. Brown accordingly forced the merger of a myriad companies, following the British example. This meant that by the early 1930s, four companies dominated the airmail routes between California and New York. United Air Transport had the northern route centred on Chicago, Trans World Airlines operated the central route via St Louis, Missouri, and American Airways; the southern line through Dallas. The Atlantic seaboard between New York and Florida was the turf of Eastern Air Transport. The Big Four had been born. The Democratic victory in the 1932 US Presidential elections led to this allocation of routes being dubbed the “spoils conference”, with the US Government stripping the airlines of their airmail contracts and awarding them instead to the Army Air Corps. This turned out to be a disaster, as the military pilots lacked the skill set required. Within weeks, 12 Army airmail flights had crashed killing many aviators and crews. In an embarrassing reversal, the mail contracts were handed back to the Big Four, who had only to slightly change their names to qualify. Two smaller airlines managed to get their feet through the door, with the Dallas to Chicago route being awarded to Braniff and Delta winning the Atlanta-Chicago leg. This set the stage for the dominance of the US airline industry by these six large companies, with Pan Am concentrating purely on overseas routes. The famous US Civil Aeronautics Act of 1938, which essentially converted these companies into public utilities for many years, further cemented the situation.